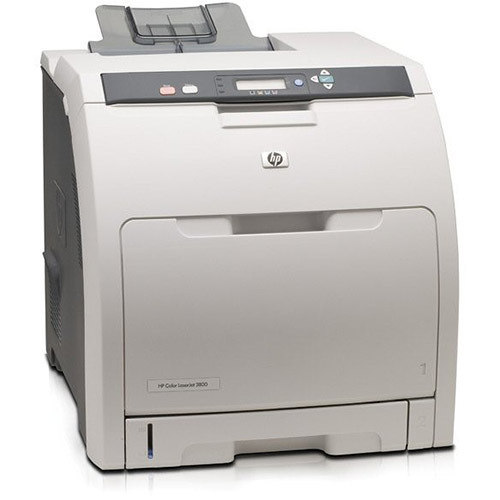 The HP Color LaserJet 3800dn printer in your office has proven itself to be a capable device. This workgroup laser printer cranks out documents and images with a 600 dots-per-inch (dpi) resolution at speeds of up to 22 pages per minute in both monochrome and color! You depend on your printer to produce great work, but a great machine needs a consistent and reliable toner. Paying original equipment manufacturer (OEM) prices on HP LaserJet 3800dn toner can cost hundreds of dollars, but you can get the same quality and performance from 1ink.com’s remanufactured toner cartridges for over 50% less! Remanufactured HP toner from 1ink.com will never let you down. It’s designed to install easily in your printer and produce professional-quality results. Our toner will not void your printer’s warranty – you’ll just get OEM-comparable performance and flawless print work for a fraction of what you’d pay for OEM products! Browse 1ink.com’s remanufactured toner cartridges below and you’ll quickly see that our prices and our quality can’t be beat!